Boxed Sympathy Cards for Death | it takes two, inc. The death of a loved one is always difficult. These sympathy cards offer comfort and understanding during a challenging time. Let someone know that you are thinking of them. Send these simple sympathy cards. 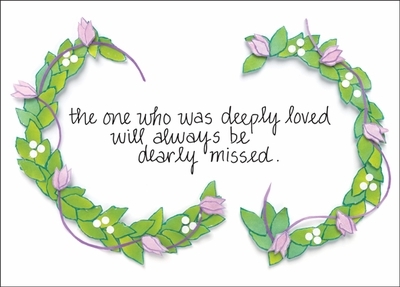 Front: the one who was deeply loved will always be dearly missed.